Bathed in warm Mediterranean sunshine, and with the final peaks of the Pyrenees providing a dramatic backdrop, the coast either side of the Franco-Spanish border invites exploration on foot. This is Catalonia, vibrant and proud of its distinct culture, and to walk between the charming fishing villages that nestle along its coast on both sides of the frontier is a joy, passing small, rocky coves, craggy headlands and rugged cliffs, below which the sea sparkles in the bright sunlight. Unsurprisingly, the coast (in French the Côte Vermeille, in Spanish the Costa Brava) and its fishing villages have long attracted many artists, among them Dalí, Picasso and Matisse, who were drawn by the bright Mediterranean light. 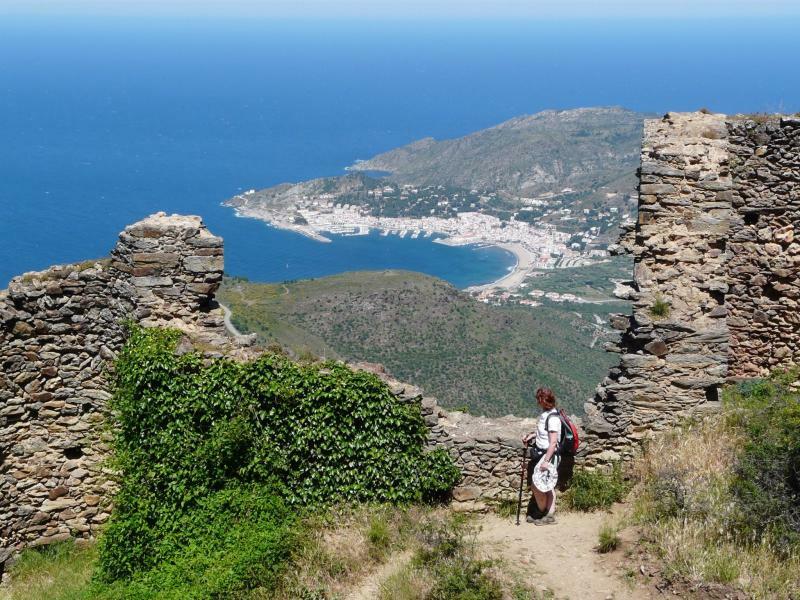 By walking from Cadaqués to Collioure along the coast, you will discover for yourself the lure and enchantment that this delightful area has held for so many artists. This holiday can be tailored, so if you would like a longer or shorter holiday let us know via our contact form or give us a call and we’ll provide you with a price. Day 1: Arrive at Girona airport or Figueres or Figueres Vilafant train station (if travelling from Barcelona) where you will be transferred to your accommodation in Cadaquès, once there you will have a welcome meeting with an English speaking local guide. Cadaqués is a beautiful whitewashed coastal town surrounded by mountains and was a favourite of both Picasso and Salvador Dalí where Salvador Dalí once famously said in 1920: “I have spent a delightful summer, as always, in the perfect and dreamy town of Cadaqués. There, alongside the Latin sea, I have been quenched by light and colour”. 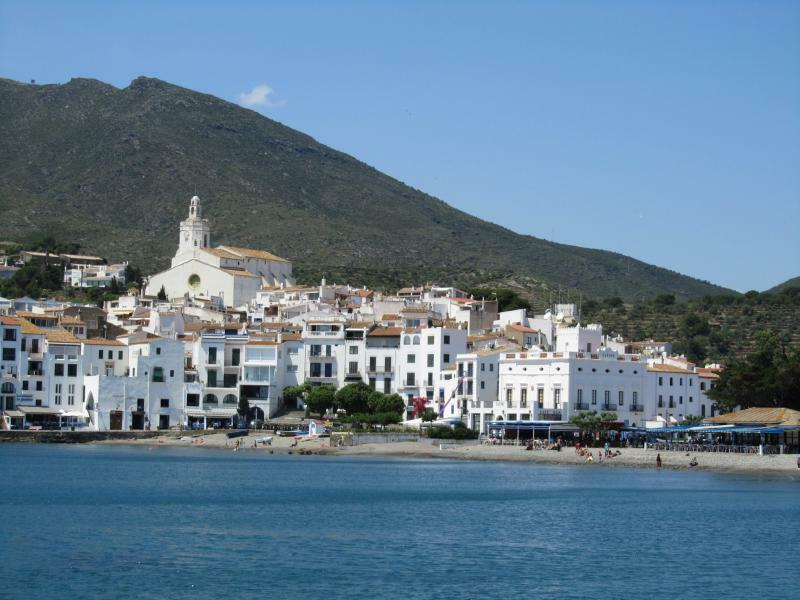 Note: Cadaqués is a great place for eating out; it has a great selection of restaurants ranging from small Mediterranean family run restaurants, to fresh fish restaurants, pizza cafes and tapas bars. We would recommend you get stuck in to the seafood during your stay in Cadaqués, it’s always very fresh and delicious when washed down with a bottle of chilled Catalan white wine. Accommodation: 3* Hotel, Breakfast, Cadaquès. Very close to the beach and the centre of Cadaqués this family run hotel is simple, clean and friendly. 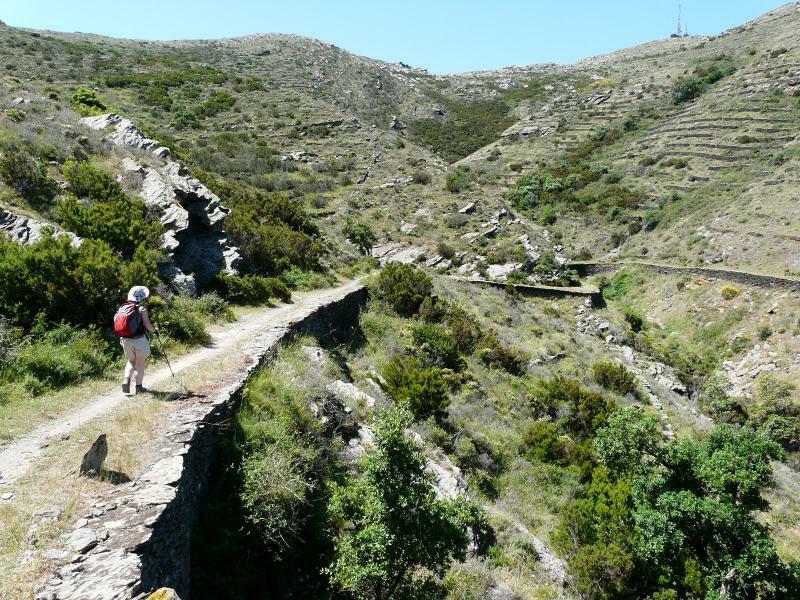 Day 3: Leaving Cadaqués behind you make your way north through the heart of the famous Cap de Creus national park. 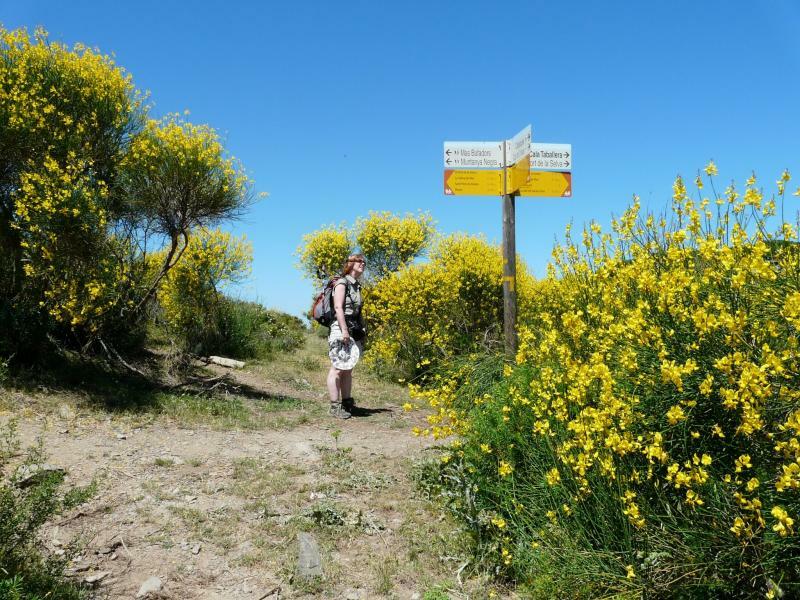 You will follow a deeply rural trail with beautiful views of the Catalan countryside, you’ll have some magnificent views of the Pyrenees and the French/Spanish border before arriving in El Port de la Selva. Accommodation: 4* Hotel, El Port de la Selva. The hotel is an old manor house from 1864 made with stones from the Cap de Creus. It’s been a hotel since 1960, it was totally refurbished in 2005 and is just a few meters from the beach. It has two restaurants (one of them in front of the sea) and a panoramic lounge. Originally Llançà was divided between the original tenth-century settlement — built inland as a defense against pirates — and the harbor of Llançà, however with tourism brought lots of growth to the town, and the village and harbor soon joined together to create one beautiful resort. Accommodation: 2* Hotel,Llançà. This family run hotel enjoys an exceptional location, set right in front of the sea and with direct access to the beach. All the rooms are bathed in plenty of natural light and from the hotel terrace you can marvel at the view out over the beautiful Mediterranean Sea. Nestled in the heart of the Côte Vermeille (Vermilion Coast), Banyuls is a preserved jewel that combines the authentic character of a town steeped in traditions with the dynamism of a modern city. 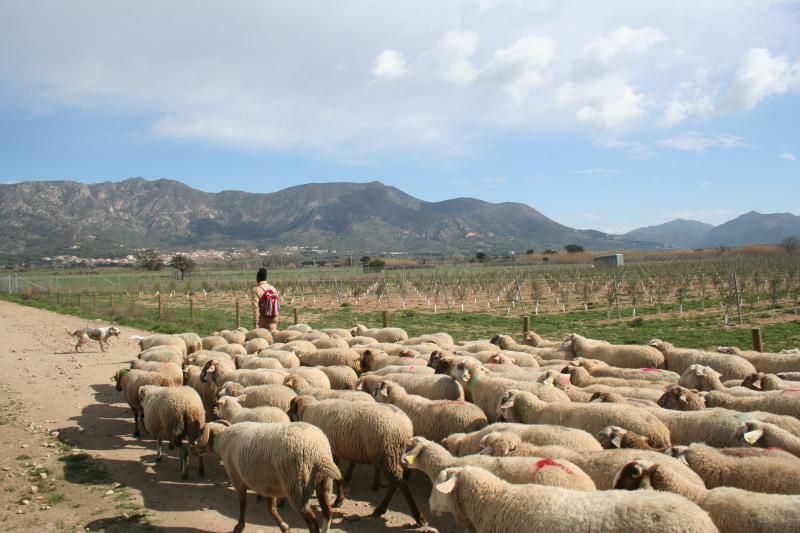 Originally a fishing village that turned to wine-making and developed essentially with tourism, Banyuls owes its world reputation to its exceptional wines and its spectacular vineyards that plunge down to the sea. Accommodation: 3* Hotel, Banyuls-Sur-Mer. Run by the welcoming Madame Rède, this well-equipped hotel perches on the slopes above Banyuls, with splendid views over the village and the Mediterranean from the restaurant and spacious bedrooms. There is an outdoor pool in which to cool off. 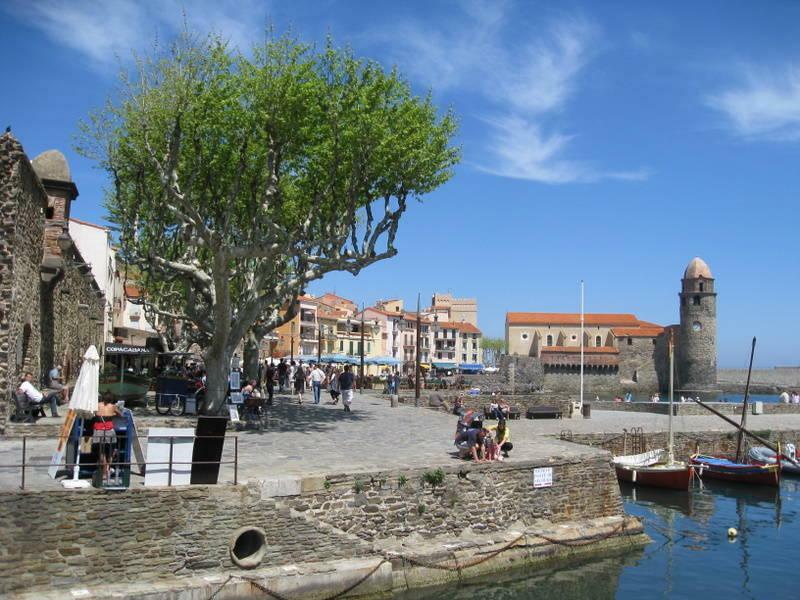 Of the four little salmon-pink towns along the Vermillion Coast, Collioure is the indisputable star, a sensationally picturesque ensemble of old town, beaches, waterfront castle and church, all set around a beautiful bay. The resort’s good looks have attracted artists since the early 1900s, when Matisse and Derain started painting here, and the streets are full of galleries to reflect this. The small Catalan port is sheltered by a creek where the waters of the Mediterranean meet the rocks of the Pyrenees mountain chain and with several sandy and pebble beaches, creeks and clear waters you have a fantastic opportunity to enjoy a swim. Accommodation: 3* Hotel, Breakfast, Collioure. Centrally located, just a short stroll from the harbour, this friendly hotel offers comfortable, relatively simple, air-conditioned rooms. As your stay is on a bed and breakfast basis here tonight, you are free to take your pick of the local seafood restaurants. There are regular flights from many European cities to Girona airport, the closest airport for this holiday, most of which are operated by Ryanair. The transfer from Girona airport to your first accommodation takes approx. 1 hour 30 minutes. There is a wider choice of airlines flying into Barcelona including Ryanair and Easyjet. You need to take the shuttle train to Barcelona Sants from the airport; they leave every 30 mins and take approx. 20 mins. You then change trains at Sants and take a train to Figueres Vilafant (53 minutes) or Figueres (approx 2 hours) depending on the train you take. The transfer from Figueres or Figueres Vilafant to your first accommodation takes approx. 30 mins.